We love arts and crafts and taking a break from technology. 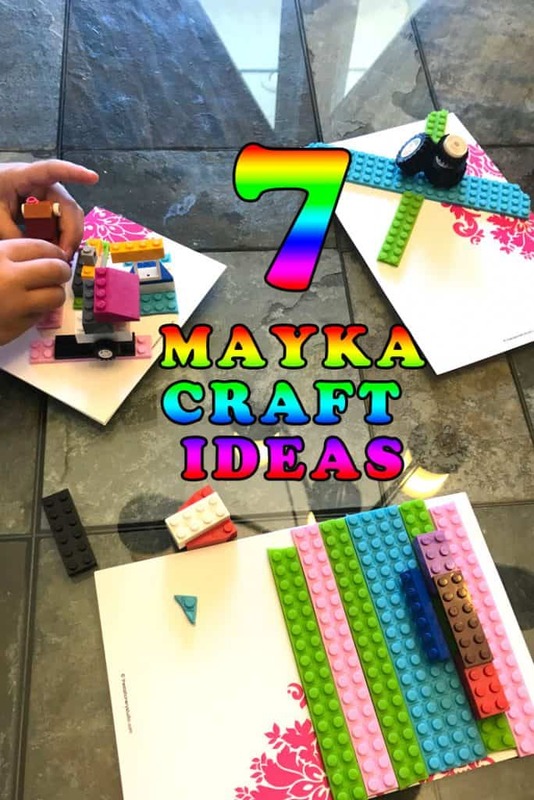 If you are trying to think of Mayka Tape Craft Ideas and crafts to do they are definitely endless. You can purchase Mayka tape for about $5 depending on the size and where you buy it. So it is very affordable and buys your kids hours of crafting and play time! We were trying to come up with some great ideas and while we had a friend over…I had the idea to make Mayka Tape cards! 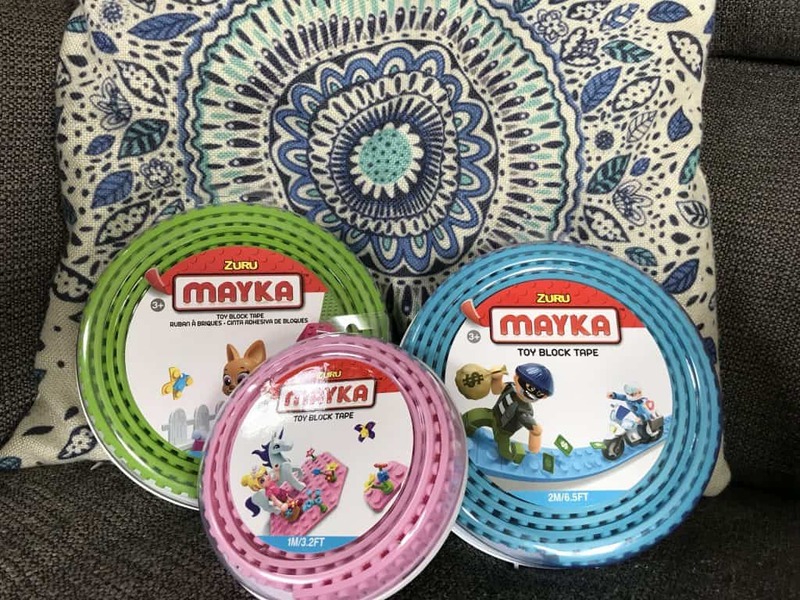 Mayka tape is sticky and think rubber block tape where your blocks, like Legos, can stick. Some kids have fun making tracks to play! Mayka Tape Cards: We got note cards and filled it with table. 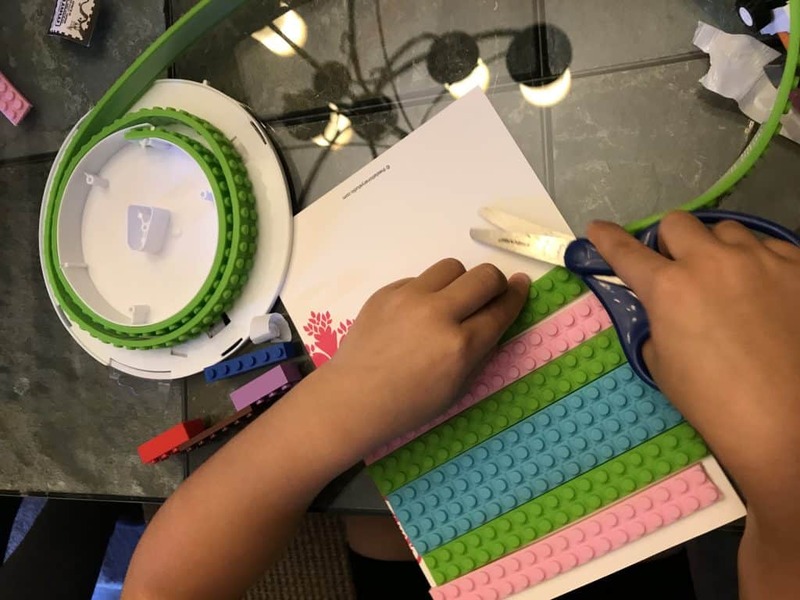 We were able to decorate them but we can also repurpose the cards and fold them up to give them as a Birthday gift along with a Lego gift! It is the perfect compliment! Mayka Frames: You can take the tape and move it around frames to design the cutest artsy frame! Mayka Boxes: Find a cute pencil box and cover it with Mayka tape. Store your blocks and/or Legos in there for easy cleanup and fun for travel. Bunk Bed Fun: Stick them above the bottom bunk so that kids can play and stick their creations above their head. Cute Party Favors: I have seen and been to the cutest “LEGO” themed parties. Get some dollar store items and cover them in Mayka tape. Better yet, have the kids do it! Mayka Table: Decorate a table with Mayka tape and even create “roads” and bridges. Let your kids build and create on the table when done! Mayka Trays: Get some cookie sheets and fill them up with Mayka tape. If you have preschoolers have them spell out letters on the trays as they are learning them each week. You can even use this as a chore chart tracker! Purchase your Mayka Tape today on Amazon!